Ideally used with hydraulic pullers, pipe benders, cable tools and jacks. 1. Comes equipped with either an easy carry handle or a shoulder strap. 2. Designed with the control switch attached to the pump casing. 3. Super lightweight and compact for portability. 4. 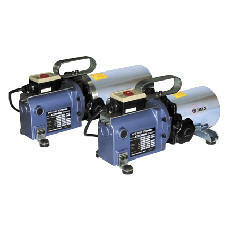 These pumps are fully sealed, making them ideal for outdoor use, and can operate in any position..
1. 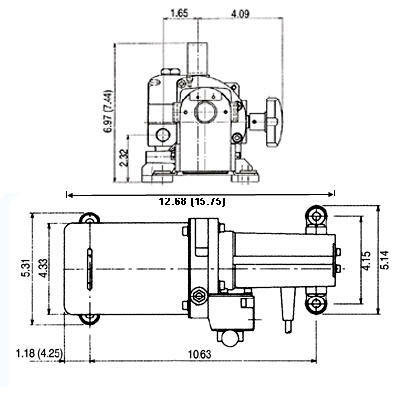 These pumps feature a special 2-stage operation that provides a high flow rate of 153 cu. in. at first stage and up to 1015 psi by means of unloading valves. Automatically matches pump performance to the job requirements. 2. 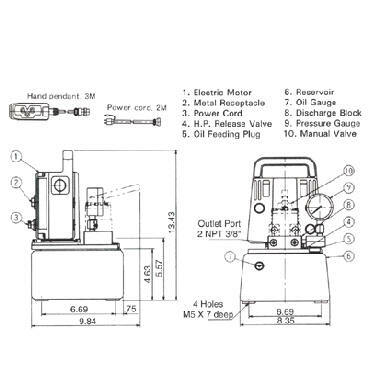 Standard size comes with 3-way manual valve for use with single-acting cylinders. 3-way ADVANCE/HOLD/RETRACT. 2-way solenoid valves also available upon request. 3. 4-way/3 position valve for use with double-acting cylinders. Designed to easily accept various kinds of stacking valves such as solenoid valves, relief valves, and check valves. 4. Lightweight and portable, weighing between 35-44 lbs. 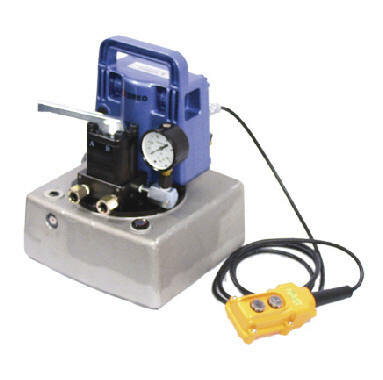 Pump comes with easy carrying handle and remote pendant switches. 5. Choose from models with options that include adjustable pressure regulator, pressure switch, and valves. Solenoid valved pumps combine maximum productivity, easy use, and are the ideal choice for production, lifting, and maintenance applications. 6. Standard size comes with 2 gallon reservoir, and has 1.5 gallon usable oil. Larger size reservoir also available upon request. Shipping cost are invoiced separately for express “add to cart” ordering.